This rug is for a goat with a No 1 measurement between 18 and 21. If you are unsure if this is the correct size please see how to measure your goat on the right of this page. 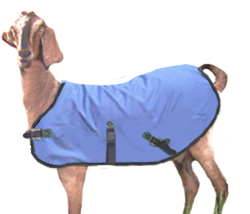 Please measure carefully as we do not send mock coats for goat rugs.